It’s the greatest week of the year, American Craft Beer Week 2018! 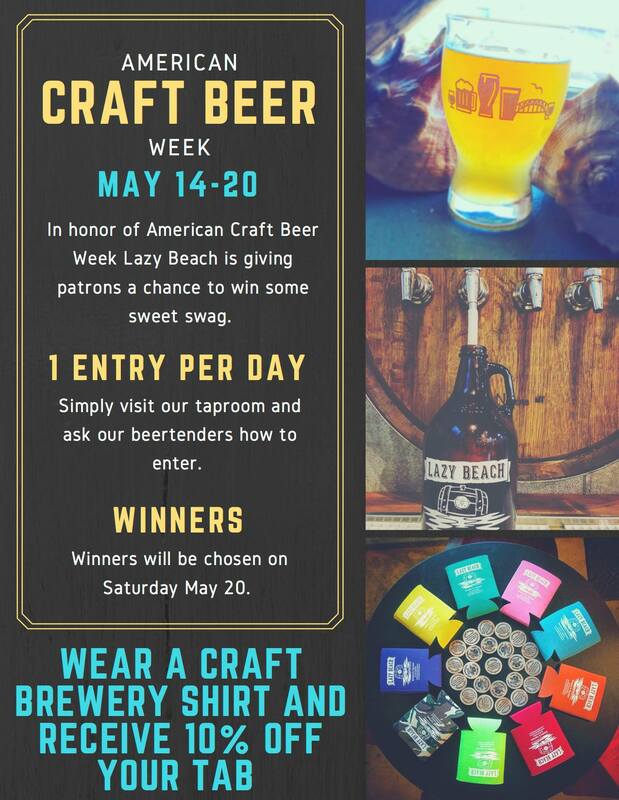 So in honor of this American tradition we are giving patrons a chance to win some Lazy Beach swag all week. Just come into the taproom, chat with the beertender and they will tell you where to leave your name and contact info. The winners will be chosen at random this Saturday. 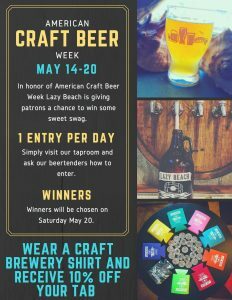 Come in wearing a craft brewery shirt (bonus karma points for those sporting a Lazy Beach shirt) and get 10% off your entire tab. As always, thank y’all for keeping it local.